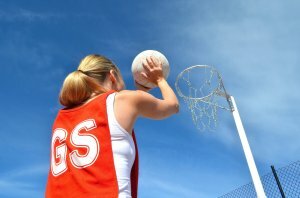 East Coast Netball is a new scheme aiming to increase participation in netball in Scarborough, Ryedale and Whitby. We want to try and use non-traditional spaces for the activity to make it different and interesting for the community. If you would like some more information we have a Facebook page which you can visit at www.facebook.com/eastcoastnetball. Beach Netball was our first programme that ran for six weeks during the summer in Scarborough. Every Monday night on South Bay next to the fairground we ran a free netball session to anyone over 14. The sessions we are great success, and will be running next summer. We will update this page and post regularly about the sessions on our Facebook page above. Feeling like you want to get back into netball, or you just want some extra training? Get Back into Netball is a new session welcoming all abilities to get back onto that netball court! Every Tuesday evening 7-8pm at Baron's Fitness Centre, Get Back into Netball is a social session providing skills, games and an opportunity to meet new people! It doesn't matter if you have never played before or you just want to brush up on your skills, come along and give it a go. The session is £2.50 but for every 5 sessions you attend, you get you're 6th free! By commenting on the relevant Back to Netball post on our Facebook page you can attend your first session for free! An exciting new session running for young mum's and their children to take part in an hour long social netball session. It's a great opportunity to meet other young mums in the area and a chance for your children to have some fun through netball. The session is designed to introduce your child to the skills used in netball. Their physical abilities will be developed using movement skills such as running, jumping, balancing, throwing and catching. Equipment such as balls, balloons and hoops will be used to create a fun and safe learning environment. Our sessions run every Friday 11-12am at Baron's Fitness Centre, come along and give it a go! We would recommend children to be aged 2+ and sessions cost £2.50. Keep an eye on our Facebook page for regular updates and information about these sessions. We are also looking for people who would like to get involved in volunteering on this programme or those who are interested in becoming umpires/coaches. East Coast Netball would like to run several England Netball courses to help the development of netball in the area so if this is something that interests you please get in contact. For any further information about anything regarding East Coast Netball, get in contact with Amy Garrett (see below for her information).